An oldie, but a goodie (as they say). This was the perfect dinner to fuel me up the night before the Royal Parks Half earlier this month – it certainly worked! For the bolognese, I put together (in my usual, haphazard way with whatever’s on hand! ): grass-fed beef mince, tomatoes, garlic, onions, red and yellow bell pepper, celery, carrot, courgette and mushrooms. 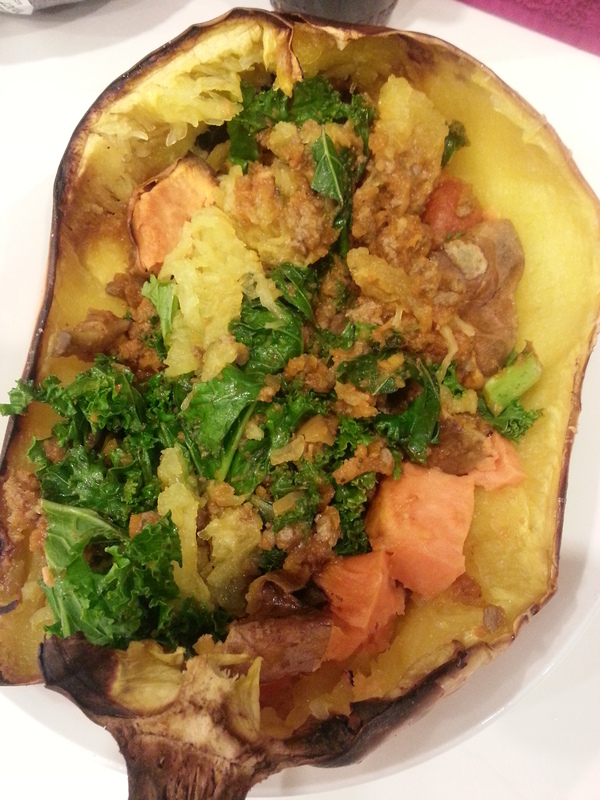 I placed the bolognese inside a roasted spaghetti squash half with some steamed kale, and topped up with some roasted sweet potato! 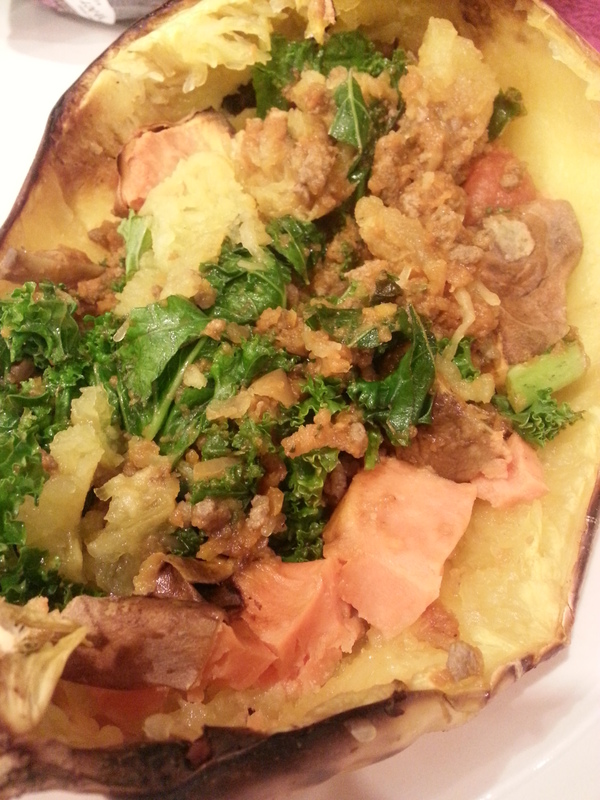 Posted in beef, dinnerTagged beef, carrot, celery, courgette, garlic, mushroom, onion, pepper, spaghetti squash, tomatoBookmark the permalink.